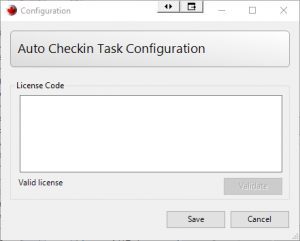 Auto Checkin Task Add-in – ehcanadian Consulting Inc. The Auto Checkin Task add-in checks files in for a specific user on a schedule. 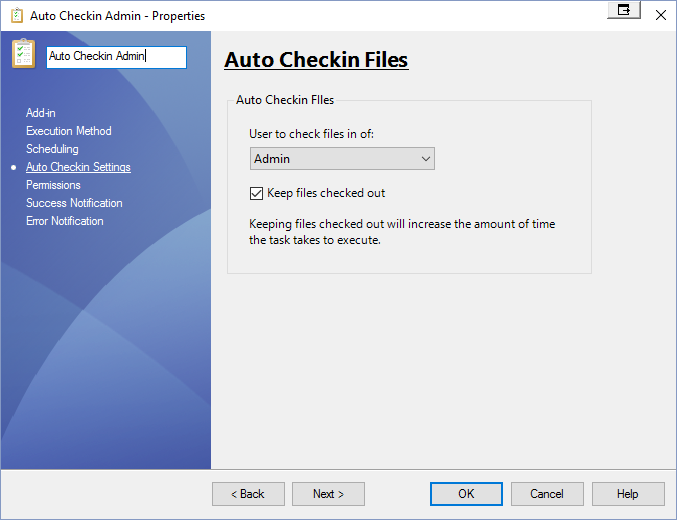 The Auto Checkin Task add-in checks files in for a specific user on a schedule. 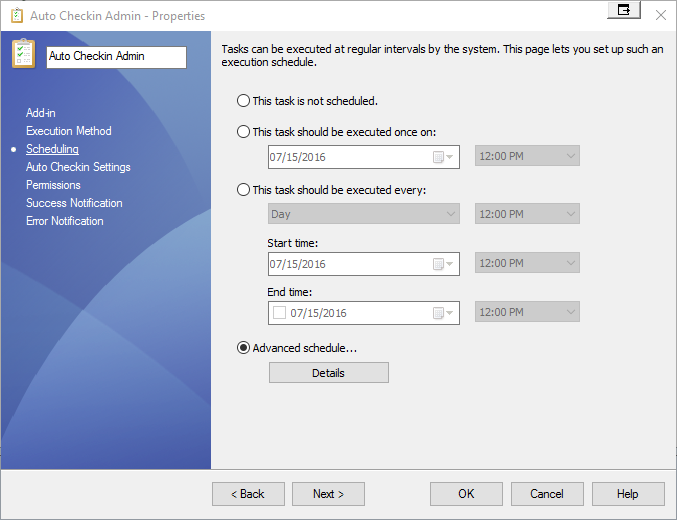 If you find your users aren’t checking in files on a regular basis, set up this task for a Friday evening and their files will be checked in, ready for backup. See the documentation tab below for more information. 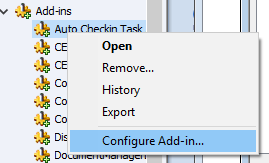 In the PDM Administration tool, right click on the add-in and select configure add-in. Provide your license code if you have one. If you don’t, the add-in will run in trial mode for 30 days. Setup a new task. For the ‘Add-in’, select the add-in, and execute as the user you’d like to check in the files for. 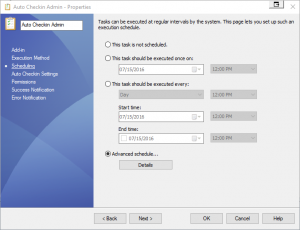 On the ‘Execution Method’ pages, select only the computer the user’s files will be checked out on. Only one machine should be selected. 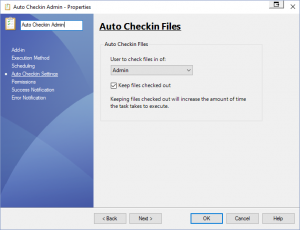 On the ‘Auto Checkin Settings’ page, select the user and whether or not to keep the files checked out. You should also set a schedule at this time.